Following Hurricane Irma, Child’s Path, one of our four early childhood development centers, needs a complete roof replacement. 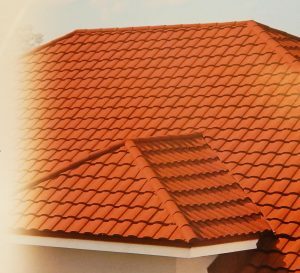 The cost of a new roof is $111,000. Unfortunately, insurance denied our claim because of the depreciated value of an older roof. We have begun the process of replacing the roof, but still have approximately $22,000 left to raise. We provide partial tuition assistance for high-quality early childhood care and education to low-income families that struggle to afford childcare and whose children are at a high risk of starting kindergarten behind their peers. CCCR operates four early childhood development centers in Collier County that serve 300 children annually. The roof expense is in addition to over $150,000 in other hurricane losses in 2017. N-Viro Metal Roof Supply, Inc. heard about our need, and donated $80,000 in long-lasting roofing materials. Our supporters have been have been incredibly generous, so that we only have $22,000 left to raise for installation. Can you help us to reach it? Any size donation helps. Some of our CCCR Business 100 Members are hosting fundraisers and other events and donating some of the proceeds to us. These types events are win-win situations; they are great exposure for a local business and benefit our children. We encourage members of our community to get creative in helping us. Our goal is to raise the last $22,000 by August 31st. It is through the kindness and generosity of people like you that we can continue to care for these children and support these families. Let’s Raise the Roof!